On December 22nd alone, USPS delivered more than 28 million packages. Which is the most packages delivered in a single day in USPS history! 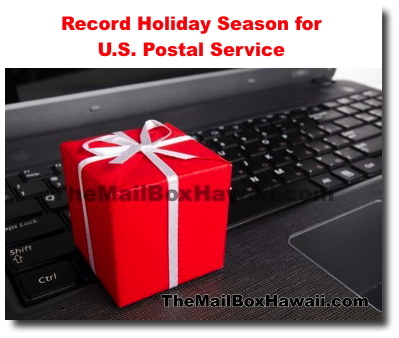 USPS anticipates steady volume through January 2015 with consumers returning packages and holiday gifts. Consumers with gifts to return can pack items in Priority Mail packaging, which comes with insurance and tracking, and is available free at Post Offices or online.